I don’t tell people about Jesus to look like a good Christian, I don’t do it to please my parents, I don’t do it because I think I’m perfect and that others should be like me. Far from it. God loves me, I’m not perfect, but He loves me. I want others to experience His love, to experience Him. It’s easy to not tell people about Jesus in order to avoid any social awkwardness, but surely this is more important than an awkward conversation. I want to tell others about Jesus because I love Him and He loves me. I want to radiate His love unto others so they too can experience this amazing love. So you might have realised that my blog name has changed. After nearly 3 years I was ready for a change. When I first started this blog, I didn’t really know what I wanted it be, it started as random musings and some short stories. It was nothing major, hence the the name. But as my blog has changed and developed, I felt the name was incongruent with my subject. One day last year I sat down at my laptop with a purpose. I wanted to write something that was different to my usual blog posts but I knew it was important. I was nervous, I knew that some of the people reading my blog at that time wouldn’t like it, but it was too special not to share. That was when I first explicitly wrote a post about faith and loving Jesus. That post was appropriately called “Be Bold”. I realised that I had this amazing tool and platform to share God’s love and write down my thoughts on faith and how I find life as a Christian teenager. Writing these posts is something I really enjoy doing and the feedback and encouragement that others have given me has really motivated me to keep going. However , as I said it was time for a change. Jesus isn’t someone who should be a “little thing” in my life. He owns my life, our purpose on earth is to live for Christ, but how can I possibly do this if he is only a small part of my life? Im not saying that through changing my blog name that I always put God first and sacrifice everything for Him. I would love to say that is the case, but unfortunately it’s not that easy. Luke 6:45 states “For the mouth speaks what the heart is full of.” As Christians we should strive to have the Holy Spirit fill our hearts and to share his love with everyone. The thing is a lot of the time we find this so hard. That’s because our heart is so full of other things that there is no room to be filled with the Holy Spirit. This calls us to examine our hearts, to rid it of the distractions which the devil places there and make room for God to fill us with his spirit. During the summer I was walking by the river in Bushmills and stopped to watch the river. As I was doing so my brother pointed out a fish which had just jumped out of the water, but I missed it. So I continued to watch, and continued to miss the fish, and always just saw the ripples they left behind. This day came to mind the other day as I came across a quote in the book I’m currently reading, Crazy Love by Francis Chan, which said “Are we in love with God or just His stuff?” This really challenged me and showed me that just like I was missing the fish it’s easy to get caught up on all the little things surrounding Christianity and miss the most important thing, God. It’s so easy to just focus on the amazing tune of that worship song, the amazing time you had at camp, what mission trip to go on… the list goes on, but sometimes we need to strip it all away and focus on the cross. Recently I read a book called “All the Bright Places” (If you haven’t read it, you should) which is about a boy called Theodore Finch who has bipolar disorder. His whole life he has been tagged with various labels, such as; weird, mysterious, suicidal. Eventually he begins to believe that these labels are true. 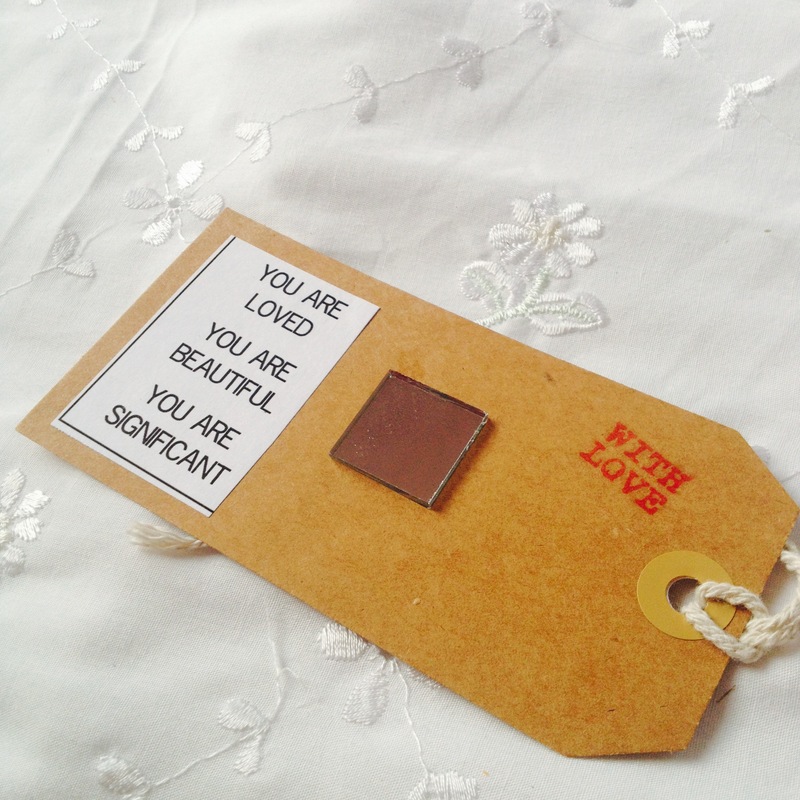 This got me thinking about the labels we give ourselves and each other every single day. We are labelled by our achievements, by what we do, what we say, what we wear, what others think of us and so many other things, the list goes on and on. But do these things really define who we are. It is so easy to get hung up on what we are going to achieve in life, what grades we will get, what career we will do and we are constantly striving for more. The same goes for what others think of us, if we let this define us we constantly are trying to please other people by being their versions of us, instead of who we really are. It can also be easy to think that the things we have done in the past define us, whether they are good or bad. So although, we are given many labels here on earth, we know these don’t define us. 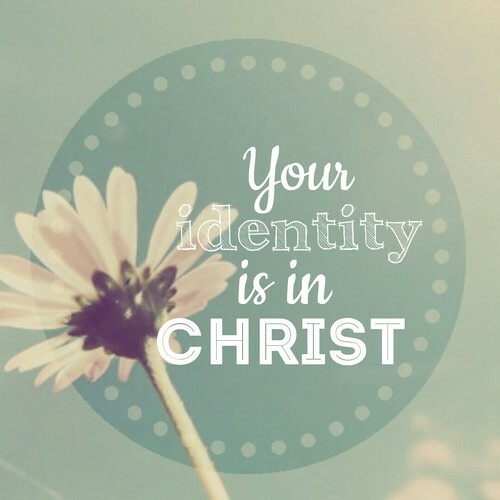 Our true identity is in Christ alone. “Back to school”, for many, including myself, these are three words that we dread to hear. After being on a high after yet another amazing summer it’s now time to return to routine. Most of my summer was spent at camps and residentials and at the majority of them I was surrounded by other Christians with similar beliefs to myself. It was so easy for me to speak openly about my faith and relationship with Jesus whilst I was in that environment. However I know that when you return to normality and school/university/work life it can be so much harder to be as open. Sometimes we are put in situations where we feel like we are the only one with your beliefs, like it’s you against the world. But it isn’t. We are reassured so many times in the Bible that we are never alone and God will never leave us. In Genesis the Lord speaks to Jacob in a dream, proclaiming, “I am with you, and I will protect you.” (Genesis 28:15) and if this isn’t enough assurance in Joshua 1:9 it says “For the Lord your God is with you wherever you go.” Isn’t that amazing! Another thing that has really challenged me in the past when I feel embarrassed to share my views if they aren’t the same as someone else’s opinions or that wouldn’t particularly please them, is the question, “who do I aim to please in life?” I am the sort of person who always wants to please people and I don’t feel happy unless they are happy, I’m sure many of you are the same. The problem with this is I find it hard to say something when I know they disagree with it. I know in my heart that in life I should aim to please God as it says in Deuteronomy 10:12, “He requires only that you fear the Lord your God and live in a way that pleases Him and love Him and serve Him with all your heart and soul”. 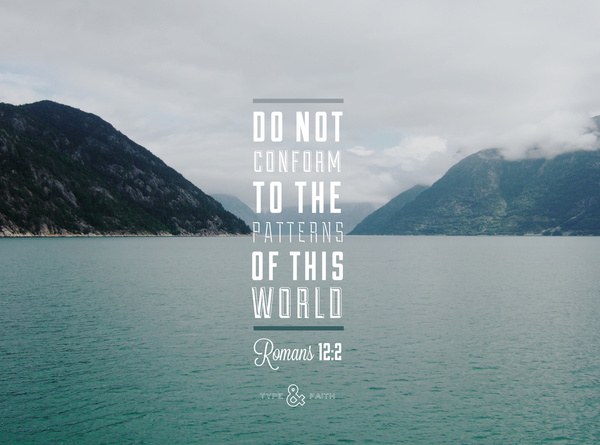 This tells us that we need to always put God first and not compromise our views to please others. However we still have to be respectful and sensitive of others and their beliefs. It is important to remind ourselves that it’s ok to think differently, if you respect others for having their own opinions, even if they aren’t the same as yours, they should hopefully return that respect to you. This got me thinking about our perception of God. Its easy for us to see Him as someone who is so far away. We look high into the sky for Him, when really He is right next to us. Our God is not a God who is distant to us or who backs away when we sin or things are going badly. In fact, He does the complete opposite. In Psalm 34:18 David explains that “The Lord is close to the brokenhearted; He rescues those whose spirit’s are crushed.” When life isnt going as we planned, it’s hard to see how God is in the situation but it’s important to remember that God never gives us something that we can’t deal with, we never have to go through anything alone as it is not through our own power that we overcome, but through the power of the Holy Spirit. 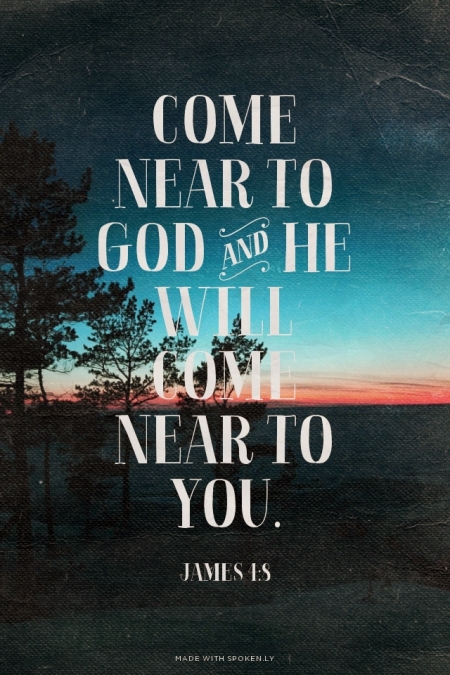 He will draw near to us in our suffering if we call upon Him. God loves us and is with us not from afar, but right beside us everyday for the rest of our lives. Imagine you are trapped in a small glass box. The only way you can get out is to smash the glass box. However this leads to you getting cut with the shards of glass. The pain takes up all your attention and you forget you are no longer trapped in the box. Sometimes things happen in our lives which cause us pain; physically, mentally or spiritually. When things like this happen it’s hard to see how this could ever be part of God’s plan for your life. A lot of the time when we find ourselves in these situations we focus solely on the hurt and find it hard to see the bigger picture. All we see are the wounds from the shards of glass, however if we persevere someday we will see that we are now free from the glass box. In John 13:7, Jesus speaks to his disciples and says “you don’t understand now what I am doing, but someday you will.” Sometimes we can feel this way too, but from this verse we are given hope that although we have to endure terrible suffering it is for a bigger purpose. Of course, sometimes it can be so difficult to see this but if we put our trust in God and persevere we will one day be able to see the reason why. One of the best examples of this, is surfer, Bethany Hamilton. When Bethany was 13 she was in a shark attack, whilst out surfing in her home town in Hawaii, causing her to lose most of her arm. Her main concern was that her accident would prevent her from surfing, and at first it made it much harder. But this amazing girl persevered and has now helped many others who have had accidents leading to amputations through her charity and despite her disability, became a professional surfer! 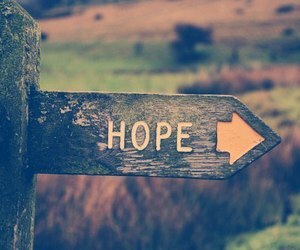 Remember, through Christ there is hope! What if we spoke to other people the way we speak to ourselves? The women quickly walked on, but I couldn’t stop thinking about what she had said for the rest of the day. It’s true that sometimes in the midst of our busy lives we focus so much on how we treat others that we forget about ourselves. Jesus doesn’t tell us to love our neighbour and hate ourselves, he asks us to love our neighbour and ourselves equally. I feel that in today’s society people (including myself) sometimes think that if they love themselves it makes them cocky or big headed-it doesn’t! You can still be grounded and love yourself, in fact, the two go hand in hand. God sees the darkest parts of us and yet loves us as if we were perfect. We need to know that we are significantly loved and that we can love ourselves, just as we love the people we surround ourselves with. Today I was reading an article about the beautiful Cara Delevigne (my eyebrow role model) and she was speaking candidly about her struggle with depression. The journalist then commented saying how shocked she was to hear these words coming from the mouth of one of the world’s most renowned super models who supposedly “has it all.” Yes, her exterior comes across as if she is a girl full of fun and laughter, but below the surface there is much more. It’s the same in our own lives. With the growing phenomenon of social media, people are sharing what seems to be their whole life with the world, but are we really? Most of the time we just post the best parts. You don’t see many Instagram posts saying “throwback to the day I couldn’t get out of bed.” Of course it’s ok not to post every little thing that happens to you online, in fact I don’t recommend doing that. The thing with this is that it easy to think that everyone has a better life than you, you think you must be the only person to have a rubbish day. But trust me everyone has those days. It’s not only online that we cover our real problems with a mask. 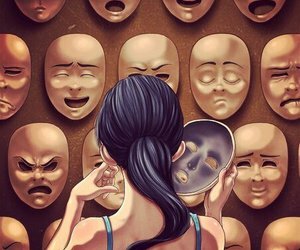 I know for me my mask is my extremely smiley and loud personality. Yes, usually that is how I genuinely act and feel, but not all the time. And the only person who I’m affecting is myself. Imagine every time someone asks you how you are, you answered truthfully. Most of the time I say “good, thanks” without even thinking about how I really feel. Just remember, the next time you are putting on your mask, you don’t need to! God sees the real you anyway and still wholly and unconditionally loves you. This week my mum and I took on the challenge of painting my bedroom in our holiday house in Bushmills. Originally the walls were painted bright pink and purple, looking back it wasn’t the best decision-but hey we all make mistakes. At long last my sister and I decided we wanted a change and we opted for the mature (and slightly boring) colour, cream. The room eventually will hopefully have a vintage theme, but for now it’s a bit of a mess to say the least. Over the duration of two days we painted the wall with three coats of cream paint and the pink and purple is still shining through. At certain points I thought we were never going to get rid of the bright pink and purple, however I am now hopeful that with one more coat the pink and purple walls will only be a distant memory. This got me thinking about our lives and our sins. Sometimes I find myself thinking about something I’ve done and it’s hard to forgive myself so I try to forget about it. But somehow, just like the pink and purple paint, it lingers in the back of my mind. When this happens it’s hard to comprehend how anyone could forgive you and it’s even harder to move on from it. But the great thing is, God isn’t like the cream paint that didn’t completely cover the previous colours. All we have to do is ask for forgiveness and he covers our sins and transforms us. This way it is so much easier to move on knowing we have been made clean, that we have been given yet another chance. Of course, we still need to have integrity, we can’t use God’s grace and forgiveness as an excuse to do whatever we want. It’s so great knowing that no sin is too big or too small for God to forgive. He paints over our sins, so we no longer have to worry about them. Jesus already died for all our sins even before we had sinned. Amazing. Just remember, once we’ve asked for forgiveness God has got it covered. Alison Miller on Think different.